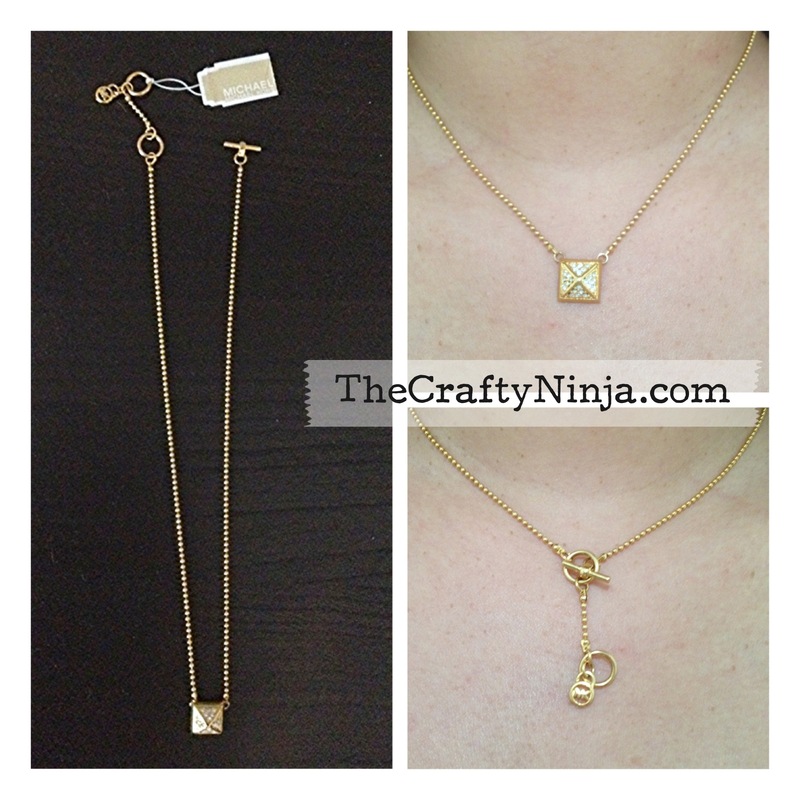 Today’s jewelry haul is my new necklace pyramid stud necklace and spike bracelet. I love my new Michael Kors pyramid stud necklace, I like this one here. Its so dainty and simple. I chose to wear it both ways because I also love how the back details look. 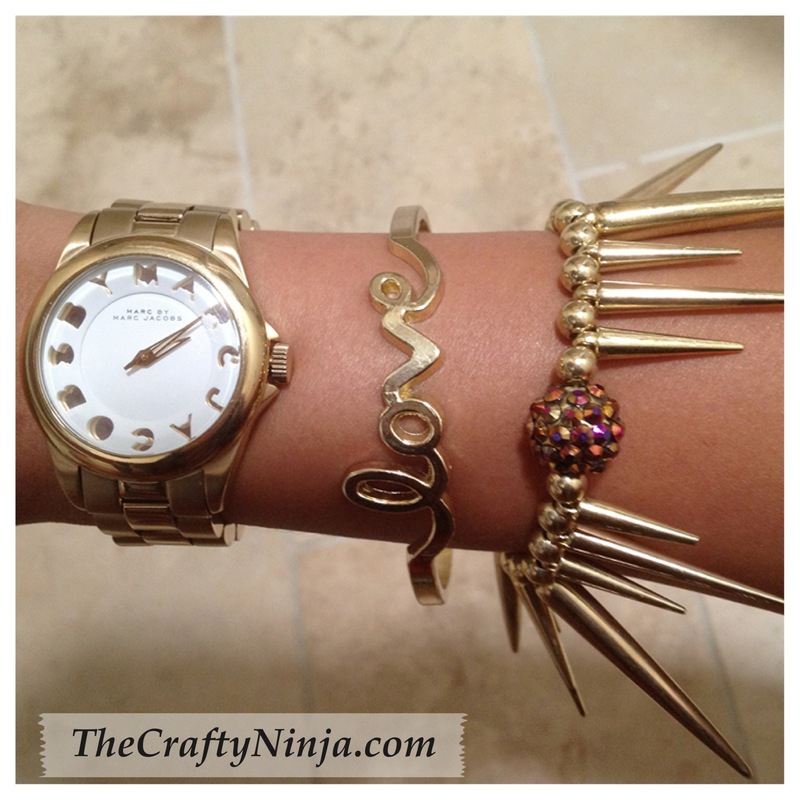 The current trend is spikes and I finally pick up a spike bracelet, similar one here. I am wearing it with my Marc Jacobs Watch , and Love script bracelet, similar one here. 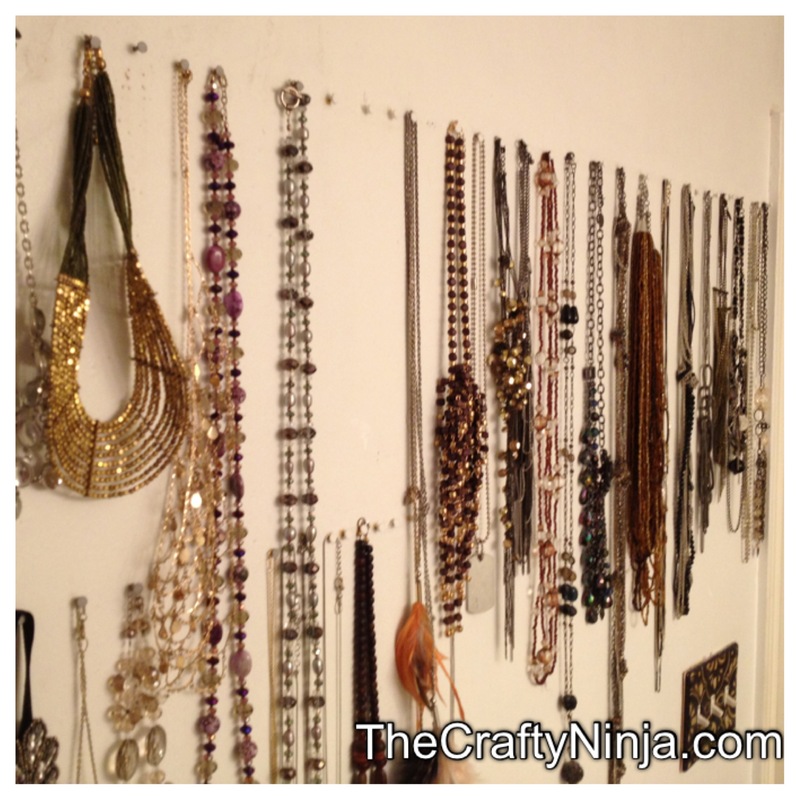 Last a storage solution to store all the jewelry using nails or thumbtacks would work and also display all your fancy jewelry.